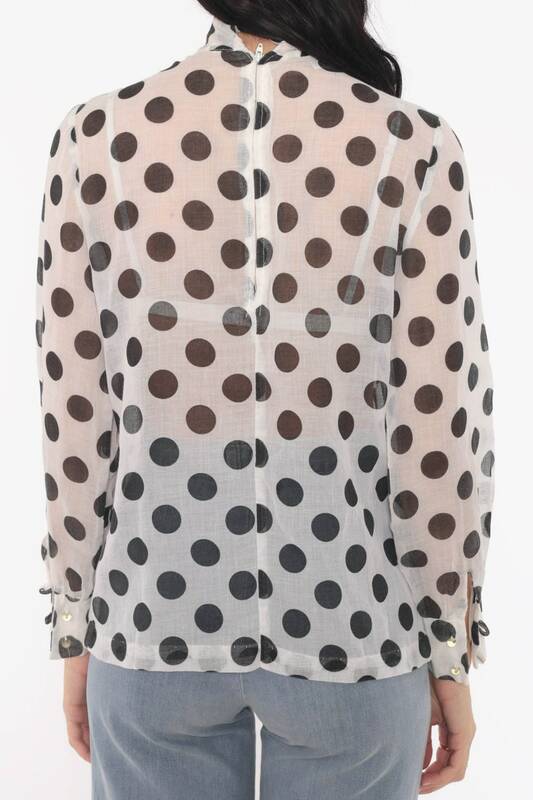 Vintage late 70s/early 80s blouse in sheer white with black polka dots and an ascot necktie. Rear zip. Material: Feels like a sheer cotton blend. No stretch.